Watson Productions knows that it can be difficult to grab attention from attendees in the sea of booths that is a trade show. Effective booth design necessitates not only grabbing attention, it has to be able to keep their attention. If you are a frequent exhibitor, there is likelihood that many attendees are already aware of your company. To ensure the attendees don’t just pass you by you should place your newest products or services front and center. Front-of-booth podiums and islands are ideal placement locations for new literature featuring your products and services. A company’s bestseller is usually the best selling product for a reason. While more experienced attendees may already be familiar with your most popular products, newer people may not be familiar with your product or service. Bestsellers often define your company, so don’t hide it! Make sure your backwall display and signage clearly and instantly communicate your business’ defining product. Even the most well-crafted booths and graphics will fade into the background when your audience is suffering from viewer fatigue. Adding motion or an element of interactivity can set your exhibit apart from more static displays. If you’re selling hard goods, a product demo will stress the value of your product while allowing interaction with the audience. Educational workshops or touch-screens displaying your product can be used if you are offering a service that can’t easily be displayed. It can be tempting to assume that only the newest and fanciest technologies will draw the attention of a potential client. In a world of HD video, artificial intelligence, and smart phones it might seem counterintuitive to use analog games or older technology—but with every booth embracing the new—something retro cool can will set your booth apart. Earlier this year (2018) there was a power outage at the Consumer Electronics Show that affected endless booth reliant on electricity. If your inline display utilizes modular design, your booth’s sidewalls are often the first things seen by possible patrons. Use this to your advantage and decorate the panels to pique their interest and draw the attendees to your booth. 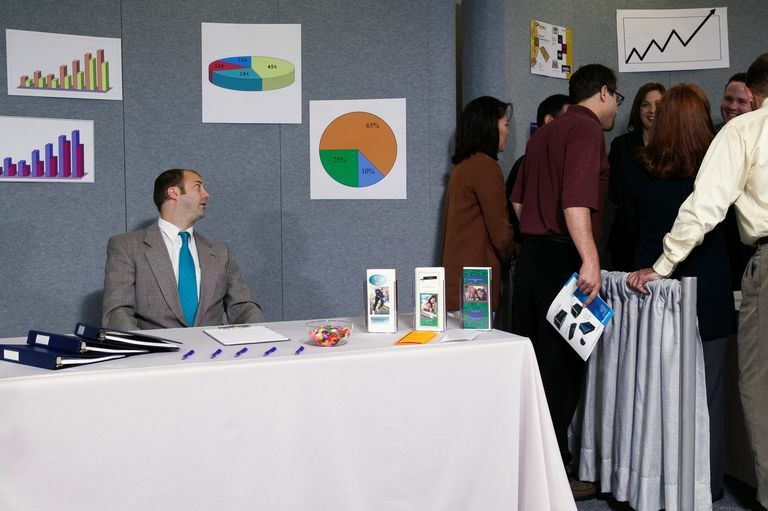 Trade shows are ever-evolving; it can be difficult to grab an attendee’s attention unless you are caught up with the newest trends and techniques. For some inspiration you can visit our website: https://www.watsonproductions.com/ or call us at 516.334.9766 Ext. 310! Watson Productions is a premier certified installation and dismantle company that has deep expertise installing and dismantling portable modular, custom modular and custom tradeshow exhibits of every size.